Despite proclaiming they were no longer going to create music in the album format, Northern Ireland’s ASH are about to release their second LP since this announcement, their seventh overall, ‘Islands’. Returning to their original label Infectious Music, the label on which they released seminal albums ‘1977’ and ‘Free All Angels’, ‘Islands’ is being heralded as a return to their peak. A bold claim for a band over twenty-five years together, but actually they’re not far off the mark. The title, ‘Islands’ refers to the islands across the world where lead songwriter Tim Wheeler composed the album, including north Dublin’s own Lambay Island. We can neither confirm nor deny if Wheeler took any inspiration from the island’s wallaby population. The artwork also holds another Irish connection, featuring an inverted Skellig Michael, a nice nod from the Star Wars fans. 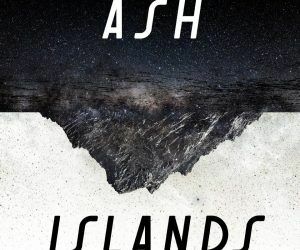 ‘Islands’ features the signature undeniably ASH sound, although overall the album probably isn’t as catchy as previous releases, but this isn’t necessarily a bad thing. There may not be an obvious singalong classic along the lines of Girl From Mars, it is a more mature, polished ASH and while it may not grab you instantly it is most definitely a grower that could be a future classic. From the first listen ‘Islands’ is clearly a break-up album, seen nowhere more clearly than All That I Have Left. Opener True Story in true ASH style features upbeat, positive guitars masking lyrics of dejection. Annabelle sounds like it could have been lifted from ‘Free All Angels’ and given a 2018 makeover, while Buzzkill (featuring backing vocals from The Undertones) harks back to more of a ‘Trailer’ sound. One of the highlights, Confessions In The Pool contains a drum pounding intro that takes a surprising move into an almost ’70s ABBAesque disco sound. On paper, it just shouldn’t work, yet it does, tied together with Wheeler’s vocals. Ballads, well as close as you can get to ballads with ASH, It’s A Trap (possibly another Star Wars nod), Did Your Love Burn Out and closer Incoming Waves are where Wheeler is at his most tender, honest and heart-breaking allowing his lyricism to shine. One piece of advice – while the album definitely has the potential to help after the end of a relationship, don’t listen immediately after or it might just break you. ‘Islands’ is released on Friday 18th May.